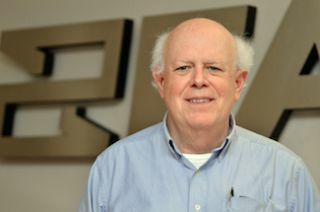 Eastern Acoustic Works (EAW) has announced the retirement of Kenton Forsythe, EVP of strategic engineering. Forsythe, one of the original founders of EAW, has spent his career advancing loudspeaker technology and design. In 2011 he received a Parnelli Award for audio innovation as a testament to his contributions to the professional audio industry. Forsythe first entered the pro audio industry in 1975 with the introduction of the Forsythe Audio SR215 dual 15-inch bass horn. From there he developed two-way compact loudspeaker systems and a vented subwoofer that featured an interchangeable tube venting system that allowed the enclosure to be reconfigured for different drivers. His SR109 loudspeaker and BH212 subwoofer were the first products introduced under the EAW name in 1978. He followed this up in the 1990s with the development of multiple loudspeaker solutions for the stadium market many of which are still in play today. EAW has setup an online guestbook page for industry professionals that want to send a note or provide commentary for Forsythe. Login and post your comments at http://eaw.com/about/a-legend-retires/.